Old Pine Tables & Furniture is a collection of farmhouse tables and farmhouse furniture based on old world styles but made in the USA. Farmhouse dining tables from the Old Pine Table Collection are crafted to order from wood reclaimed from the roof joist or flooring of old buildings in any size or shape required. Exposure of this wood to the wind, rain, and sun, over long years, has produced beautiful and weathered surfaces. Farmhouse tables with legs, farmhouse trestle tables and farmhouse pedestal tables are reflections on European country furniture styles. In addition to farmhouse dining tables, reclaimed Old Pine Furniture offers coffee tables, sofa tables, benches, buffets and hutches. All Old Pine Furniture pieces are rough hewn distressed. Those finished with wax will have an uniquely rich, soft, low-luster finish. We also offer 6 standard stain finishes, along with 40 standard paint finishes. Custom colors also available. By acquiring this piece of reclaimed Old Pine Furniture, you have eliminated the need to cut a new tree and have acquired a history-laden heirloom that can be passed on to future generations. 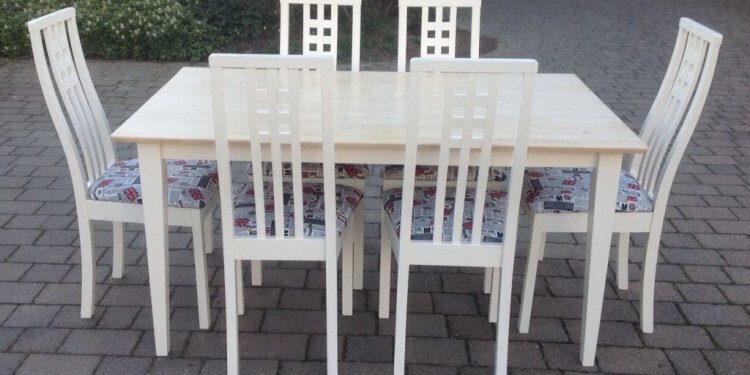 Looking for matching dining chairs? Click here to see all available styles! Check out cottage dining room and kitchen decorating on our blog for more design ideas. Or call our farmhouse table designers for additional help and color samples.